Securing a domain name for your business is must. Choose a domain name that matches your brand and the services you offer. Keep it simple and crisp so that people can remember it easily. Complete Cloud can help you get the most appropriate domain name for your business. "What do I need to register a .com domain?" ICANN (The Internet Corporation for Assigned Names and Numbers) administers .com domain names. 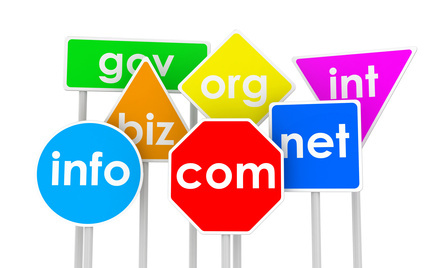 There are no restrictions on who can register a .com domain name. Any person or organisation can register a generic Top Level Domain (gTLD) and use it for any legal purpose. "What is a domain name?" A domain name is a unique name that identifies locations on the internet and helps us quickly navigate to the location or website we are looking for. Users type a URL including your domain name into a browser to access a web site such as http://www.CompleteCloud.com.au. The URL which is the entire address used to visits a website may include http://, the domain name is www.CompleteCloud.com.au or CompleteCloud.com.au. "What is a top level domain (gTLD)?" Top level domains also know as generic top level domains (gTLD) have only one suffix including .com, .net, .org, .info, .biz, .pro among others and are generally used for commercial or organisation purposes. Government sponsored domain names such as educational (.edu) or government (.gov) among others have restrictions applied. "What is a country code top level domain (ccTLD)?" A country code Top Level Domain (ccTLD) is a second-level domain that was created to show the originating country or region which the domain originates from. Each country around has its own country code, the ccTLD for Australia is .au and includes .com.au, .net.au, .org.au, .asn.au and id.au domain names. "What do I need to register a .au domain?" auDA is the administrator for the .au domain names and has the domain registration criteria outlined below. All .au domains must have a significant connection to the business or person intending to use the domain. "What characters can I use in my domain name?" "What if someone else has registered my domain?" If another party has infringed your trademark or has conducted abusive registration (such as registering a domain to prevent you from using it), you can take this up with your registrar. A registrar must follow the Uniform Domain Name Dispute Resolution Policy (UDRP). This will prevent the registrar from cancelling, suspending or transferring a domain name until agreement, court action or arbitration has been reached. The Internet Corporation for Assigned Names and Numbers (ICANN) can provide more information about domain name disputes. How do I dispute a .com.au domain name? Is it different to a .com dispute? Alternatively you can register the domain with a different extension that has not yet been registered such as .net or .biz or register a variation of the domain you had indented to register. "What domain names can I register with you?" We also register other less popular extensions, if you would like to register a domain using another domain extension, let us know. "What happens if my domain expires?" Below is the timeline of events once a domain expires. Day 0 Expired Domain: Domains that are not renewed and allowed to lapse are considered expired. Day 1-30 Lapsed Domain: Once expired you have 30 days to renew your domain. Day 31-60 Redemption Period: If you do not renew your domain in the lapsed period you can recover the domain during the redemption period for a fee. Day 65-67 Domain Release: 5-7 days after the redemption period the registry will release the domain as available to anyone who wants to register it. "Do I need a domain for my email?" If you intend to have personalised email you need an active domain name. The domain will enable you to set up your personalised email such as yourname@yourcompany.com.au. Replacing your generic email services such as Gmail, Yahoo or Hotmail with a personalised email presents a professional image for your business and gives you control over your email.